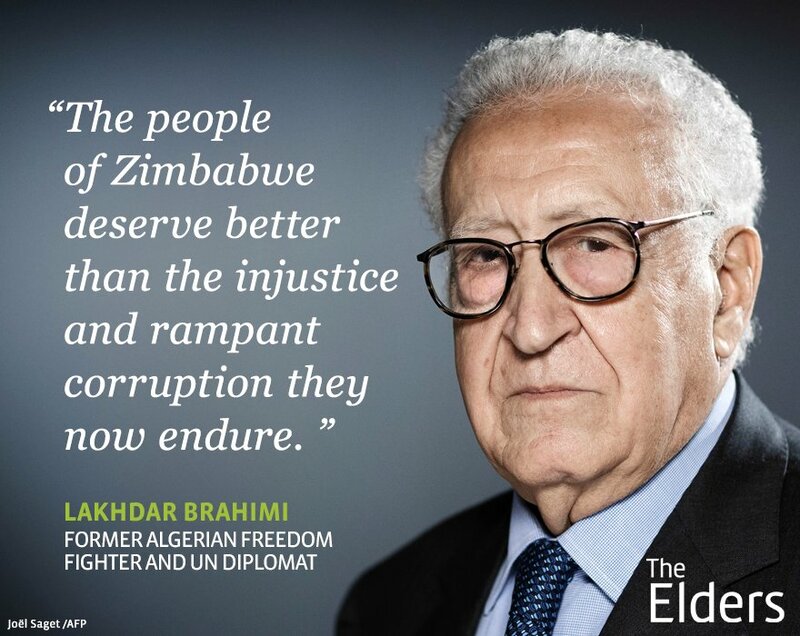 The Elders's tweet - "“The people of Zimbabwe have endured terrible suffering for decades.” - Lakhdar Brahimi. The Elders voice concern amid reports of killings, arrests and intimidation of opposition and civil society figures and a shutdown of internet access: #Zimbabwe "
That is what happens when the voice of the people is taken as "unreasonable demands"...its a pity no one listens to the people of a country but to a corrupt terrorist brutal regime masquerading as a gvt. Suffering is an understatement....we walking dead! What is it to be free? Unreasonable demands you said.... We knew this government was no good and the situation will come to this we have been here before but you chose their side over the people's grievances. Elders why did you take so long?. Anyway the elders have spoken. 'Independant' global leaders based in London. This doesn't look fishy at all. How are you voicing your concerns again? The soldiers are still on the streets people still being terrorised. You are past your sell by date. Then you will concede that urgent intervention in the form of a peacekeeping force is required to firstly restore safety of civilians and second to oversee a process where credible elections can take place. Vital.